Lets see Some Deer People! Big, small, Buck, or Doe lets see what ya got to show. I've had a ruff season, so hopefully I can get some joy from some of your success. That's a Nice one! what did you get it with? well he is a pharmacist, so maybe he put a little something in the deer corn. good thinking...I think we may be onto something here. 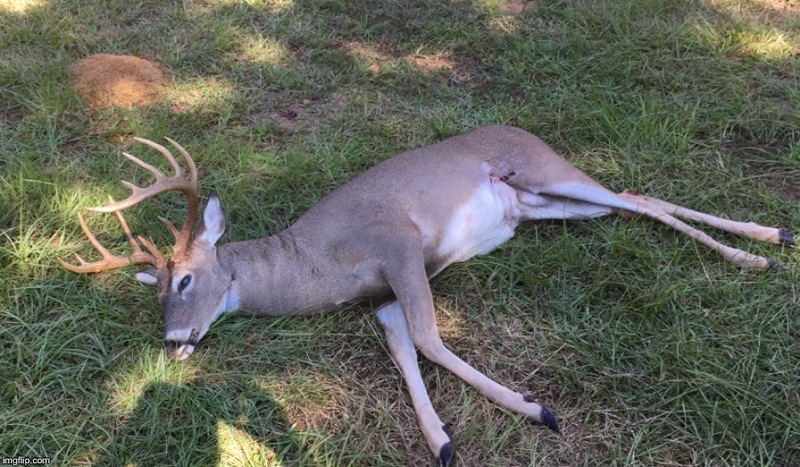 It's easy to shoot a deer when he's to tired to get up and run. 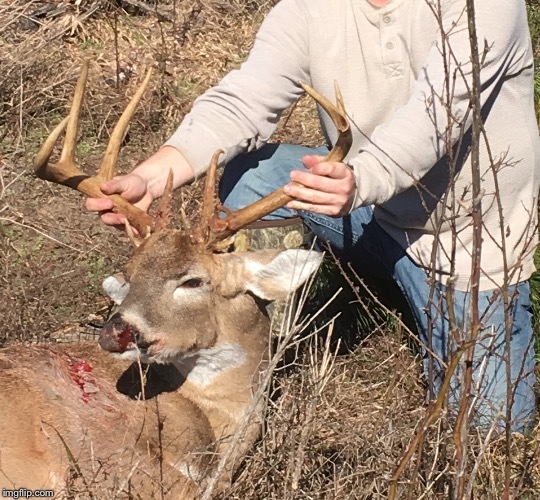 Killed him with muzzleloader. Me and my oldest boy went this morning. Sat about ten minutes. 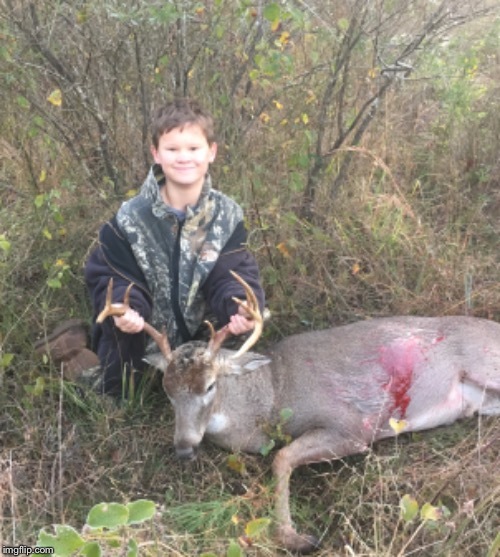 Thats his third buck but he was proud. He’s a good little hunter. We passed a lot of deer last weekend. He waits on good ones. Opening morning of modern gun. So when are you gonna share some deer sausage and venison? About 10- 12 on I40 and I49 on the trip up and back to Fayetteville this past weekend. You'd think they would use the Deer Xing. I'd be careful with that buck..looks like he's ready to shoot back at ya. Seriously, that is one hoss of a great buck. Good looking deer guys! lets keep em coming. A young one for sure, but the fajitas will be great. its a good size for being a young one. Gotta give ole' Kodiak his due, he's always puttin' the smack down on some danged good ones. Seems like Hawgon does too. No, the good ones alluded me again this year. If I could ever see during the day some of the deer on my camera at night, then maybe. The last few years I've had two different 140-150 class bucks almost every night between midnight and 3AM. Just can't find them during the day. Got another one before thanksgiving. Only had a fork on one side but still grossed 141. Nice one to cull out of the breeding stock. Would he have been 160 something if both sides were like the one good side? Nice buck either way.